Want an EV for less per day than a fast food hamburger? While new-vehicle leasing currently accounts for around 30 percent of all transactions, that rate is much higher among electric cars. According to published reports, close to 80 percent of all EVs are leased. In addition to the usual benefits of leasing, which include lower down payments and monthly outlays, leasing an electrified ride has additional advantages. For starters, driving an EV for a two- or three- year term helps ensure you’ll keep up with the latest technology, particularly with regard to battery range. Three years ago most EVs could barely break the 100-mile mark, while for 2019 there are no fewer than eight models that can run for well over 200 miles, with the Tesla Model 3 and Model S able to run for more than 300 miles on a full charge. You’ll also be spared the hassle of trying to sell a model that may be hampered by a degraded battery five or more years down the road. What’s more, the leasing entity (as the de facto “owner”) usually claims the $7,500 federal tax credit and applies it directly to the transaction price to reduce a lessee’s monthly payments. This can be a better deal than buying an EV outright and having to wait until the following year to claim the credit on your income tax return (and you’ll lose part of it if you wind up owing less than $7,500 in taxes). A car lease’s monthly payments are based on the difference between its transaction price (this is called the “capitalized cost” in the contract) and what the vehicle is expected to be worth when the contract expires (its “residual value”), financed at the going rate of interest (referred to as either a “lease rate,” “lease charge” or “money factor”). Upfront costs typically consist of the first month’s installment and the down payment (called a “capitalized cost reduction”), which can run as much as several thousand dollars. Beyond that, the lessee typically pays for the sales tax and vehicle registration fees, sometimes along with a nominal “acquisition fee,” all of which are usually wrapped into the monthly payment. Generally, less expensive models are cheaper per month to lease than costlier ones, though this is not always the case. Automakers often apply leasing “bonus cash” to reduce the capitalized cost or down payment, or will subsidize a lower interest rate help move the metal. Plus, the deal can be manipulated by juggling the numbers, with a higher down payment resulting in a lower monthly expenditure, and vice versa. Also, you’ll pay more to obtain a higher annual mileage limit. That could be worth the extra bucks per month, as overage penalties can run anywhere from 15 to 35 cents per mile. We’re featuring the seven most-affordable electric-vehicle lease deals in effect through the end of April in the above slideshow. All come with monthly payments under $250. The least expensive of the bunch comes out to actually be cheaper than a daily visit to Starbucks. On the other hand, you’ll need much healthier finances if you’re looking to lease either a Tesla Model S or Model X. According to the Tesla Motors website, a Model S 100D with a sticker price of $94,000 is going for $1,454 for 36 months with a whopping $14,566 due at signing (this includes estimated sales tax and registration fees). The Model X is being offered this month with a $1,491 payment and $14,719 down. The company currently does not have a leasing program in place for the Model 3. Perhaps because General Motors’ federal EV tax credits were recently slashed to $3,750 (as has been the case with Teslas since January 1) it costs more than one might think to lease a Chevrolet Bolt EV. Chevy is offering the Bolt through the end of April for $429 a month with a stiff $6,109 due at signing (if you’re a current GM lessee, the down payment is modestly reduced to $5,609). All prices are quoted in the slideshow are for base models and do not include the cost of options, fees, or taxes. Since new-vehicle incentive programs often vary from one part of the country to another based on local supply and demand issues, be sure to check an automaker’s website under a “local offers” or “special deals” tab to see what’s being offered where you live. As always, if the cost of a brand-new EV is too rich for your budget, consider instead any of the money-saving pre-owned models listed here on MyEV.com. And if you’re looking to sell an EV, keep in mind that our listings are 100 percent free, and we’ll even guide you through the posting process. 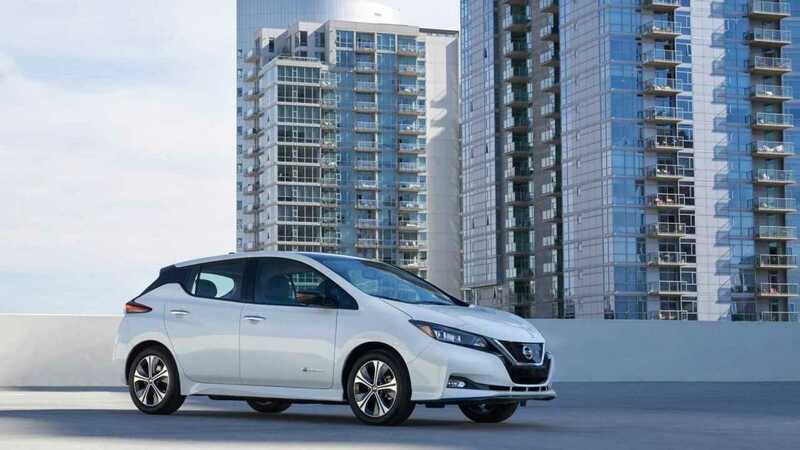 The popular Nissan Leaf is adding a higher-range Plus variant later this year that promises a 226=mile range, but in the meantime the standard model makes do with a decent 150 miles on a charge. It’s leasing for $249 a month for 36 months with $2,929 due at signing. 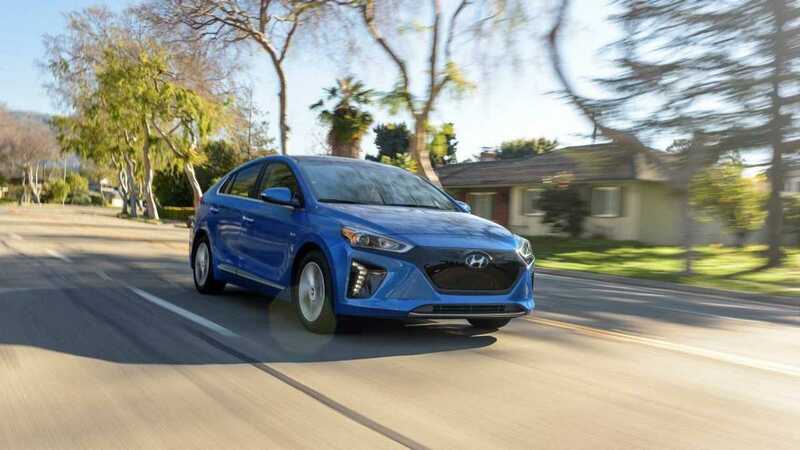 Though at 124 miles on a charge the Hyundai Ioniq Electric offers only around half the range of the new Kona Electric, it’s leasing for considerably less money. The electrified Ioniq is going for $239 a month for 36 months with $2,500 due at signing. 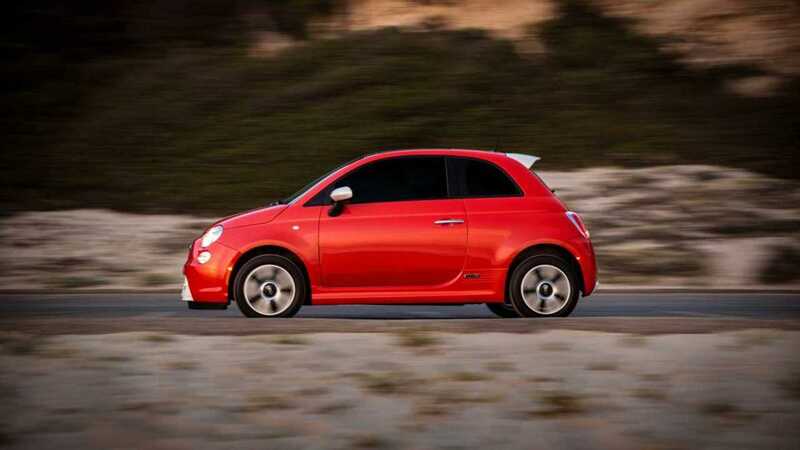 Available only in California and Oregon, the Fiat 500e is fun to drive and is as stylish as an Italian suit, though its range is lacking at 84 miles. The 500e is leasing for an affordable $229 a month for 36 months with $2,349 due at signing. 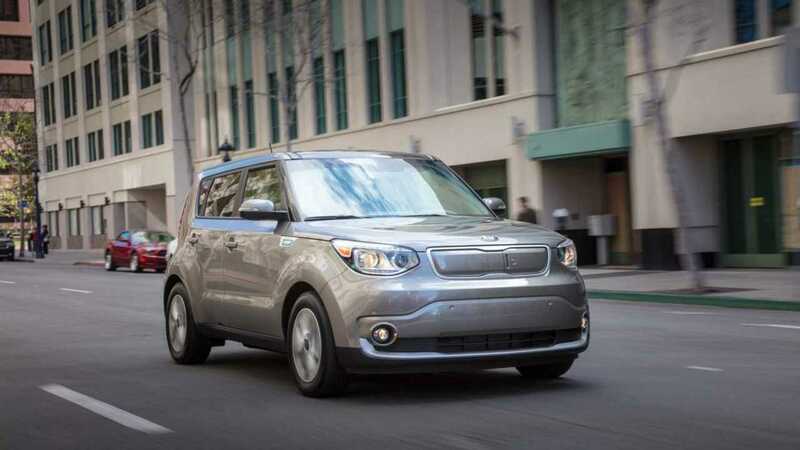 Due to undergo a major redesign for the 2020 model year with freshened styling and an operating range well over 200 miles, the current Kia Soul EV with its 111-mile limit is leasing for $219 a month for 36 months with $1,999 due at signing. It’s sold in only a handful of states, including California and Oregon. 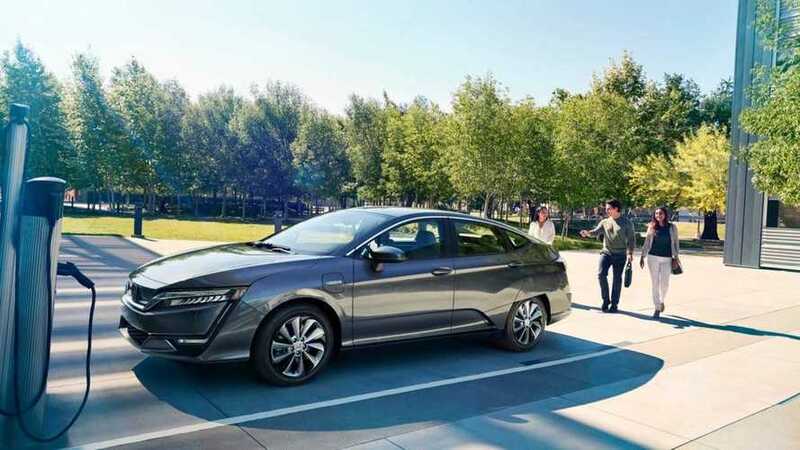 With sales limited to California and Oregon, and an operating range of just 89 miles, the Honda Clarity Electric is leasing for $199 a month for 36 months with $1,799 due at signing. 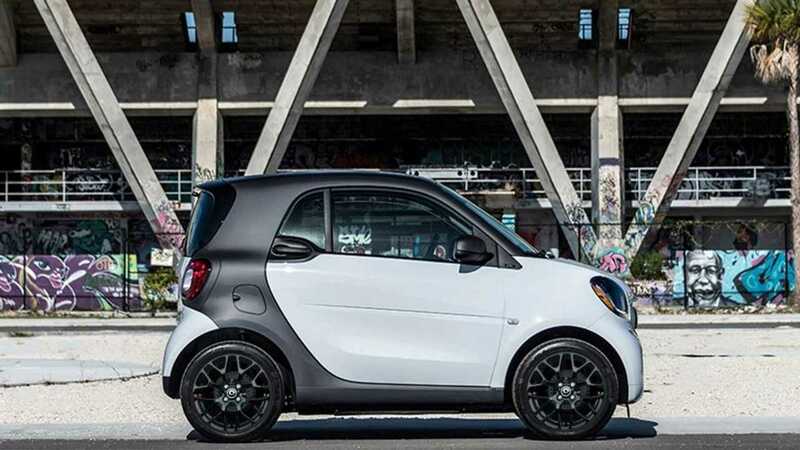 The tiny Smart EQ ForTwo may be hobbled by its two-seat cabin and feeble 58-mile range on a full charge, but it’s one of cheapest cars of any kind to lease. The coupe is going for $139 a month for 36 months with just $1,433 due at signing. Meanwhile the Cabrio, which is the only open-air EV on the market, gets a $199 monthly payment with $1,693 down.